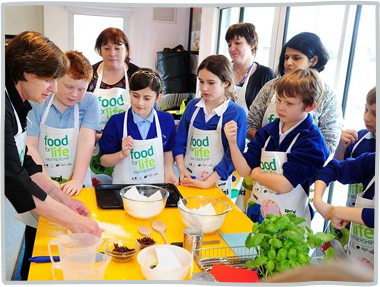 Food for Life brings schools, nurseries, hospitals and care homes, and their surrounding communities together around the core ethos of healthy, tasty and sustainable food. 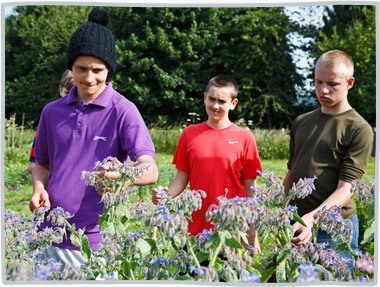 Our School Award supports schools to take a whole school approach that sees them grow their own food; organise trips to farms; provide cooking and growing clubs for pupils and their families; serve freshly prepared, well-sourced meals and provide an attractive dining environment. Our Hospital Leaders team work in partnership with NHS Trusts to promote health and sustainability as well as improving the food experience of patients, staff and visitors. Each of these programmes are underpinned by an whole setting approach and are available for commissioning across settings to support local health and wellbeing priorities. Food for Life works with public and private sector leaders to make good food the easy choice for everyone, whoever and wherever they are. The Food for Life programme achieves some amazing results, but don’t just take our word for it! Our School Award programme been shown to impact on children’s health, positively impact wider attainment, support local enterprise and tackle inequalities in local communities. Read the findings of independent evaluations and hear from the people directly involved. Food for Life doesn't promise to provide a quick fix. We’re about encouraging lasting and sustainable change to the way we all think about food, our communities, our environment and our health.